Located in the northern portion of Buenos Aires, the town of Tigre is full of stunning architecture and rich history and serves as the entrance to the Parana Delta. 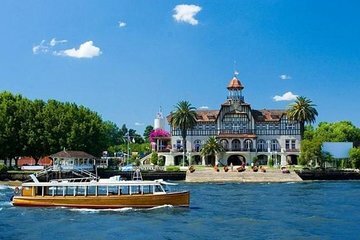 Learn about the stories and sights that define this town on a guided tour from Buenos Aires, including a boat tour of the area’s signature waterways. Upgrade for a private tour that includes all transportation with hotel pickup and drop-off, plus lunch at a well-regarded restaurant.